Would You Like To Sleep In A Womb? One hotel in Shoreditch has taken ‘sleeping like a baby’ to another level. They have worked closely with Hope Bastine, a sleep psychologist to create hotel rooms that resemble the experience of being in the womb. The beds themselves have a cocoon style, resembling the walls of the womb and the room is coloured and structured in a way which is meant to help encourage positivity, relaxation and REM-rich sleep. But what made The Zed Rooms think about the womb in particular? It’s not as random as it first sounds, as they looked at the sleep of babies in the womb during the later stages of pregnancy. They discovered that during the 2 weeks of pregnancy, a baby dramatically increases REM sleep. In the final week of birth, REM sleep reaches a lifetime high of approximately 12 hours a day. “The rooms also feature restorative scents and colours that relax muscles, invoke calm and mimic the moonlight; air cleansing soporific plants to eliminate toxins and healing background harmonies to unwind”. If this wasn’t relaxing enough, they also offer yoga mats and a tablet using well loved app ‘Calm’. Every part of the room is tailor made to evoke specific emotions and to unlock your true sleep potential. How much for a good sleep? If you want to stay in this room for a night, you’ll have to pay £190 per night for the pleasure. So… how much are you willing to pay for a good nights sleep? Although we can’t offer you a womb inspired room, we can offer you comfortable and affordable beds to perfectly suit your home. We stock only the very best. Including: Dreamworks, Dorlux, Healthbeds, Original Bedstead, Sweet Dreams, Highgrove Beds and Shakespeare Beds. If you’re looking for a good nights sleep, without the price tag, why not visit our Huntingdon showroom? Alternatively, email us directly at chris@phgammons.co.uk or call us on 01487 812 275. Considering how long a mattress should last you? And how much of your time that you spend on it? Opting for a high quality, handmade pocket sprung mattresses is always a better option than a cheap mattress. Pocket springs are a fundamental part of high-quality mattresses. Also, if you’re looking into buying a new one, it’ll help to fully understand what they are. So what exactly is a pocket sprung mattress? 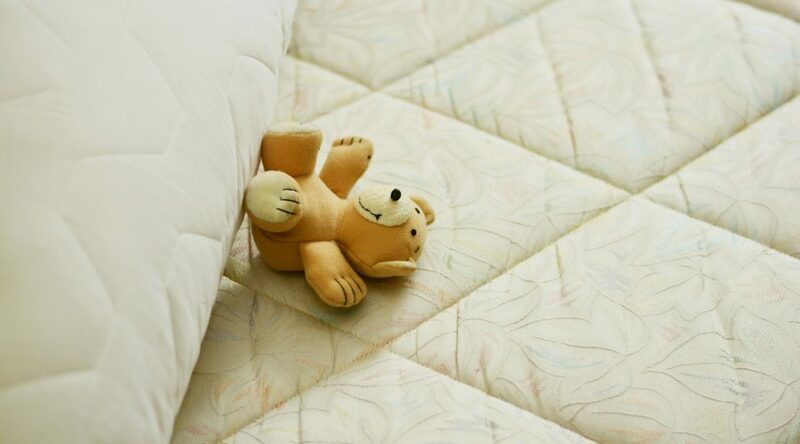 Quite simply, a pocket sprung mattress has the springs sewn into individual fabric pockets. The surrounding fabrics function like shock absorbers. Essentially this reduces bounce and increases the mattress’s firmness for increased comfort. Additionally, these mattresses provide much better support for your body, as each of the coils absorb your weight individually. This allows the contours of your body to be uniformly supported. Essentially, pocket springs themselves are rows of small springs, which are each housed separately from each other in individual fabric pockets. These mattresses were created to help people suffering with back pain and bad joints. Providing them with a firm mattress offering targeted support for the body. This support, which helps to reduce pressure point pain, helps people to get a good nights sleep and some much needed pain relief. More importantly, pocket sprung mattresses are also great if there’s a weight or size difference between you and your partner. Furthermore, individual springs will work to take the weight of both of you individually. No more being lifted or rolled over! Are you interested in improving your sleep and wellbeing with a pocket sprung mattress? Then get in touch with us or take a visit to our showroom. Alternatively give us a call and we will be happy to help you find the perfect mattress. Leather or Fabric – Which is The Best Sofa? The question that often first comes up when shopping for a new sofa is leather, or fabric? With the sofa being such a central part of the home – the spot where we relax after a long day, and gather together with family or guests – it makes sense to spend some time considering which fabric will be the best for your needs. A sofa is a great long-term investment, with a good quality one from PH Gammons lasting you years. With this long life in mind, it’s best to choose one which is well suited to your home. We’ve put together this guide to help you figure out which will suit you and your living room the best. Fabric sofas always help to create a comfy, inviting atmosphere. Since they come in a huge range of colours and patterns, it’ll be easy for you to find one that suits your interior décor and personal style. A single colour sofa is always easy to restyle with some new patterned and colourful cushions, so this can be a better choice than a patterned sofa which has the potential to go out of fashion. When making your choice between fabric and leather, consider how much time you want to spend on maintenance, along with the durability of the sofa. Choosing a sofa with high-quality fabric ensures that it keeps it’s look and lasts a lot longer. When it comes to cleaning, fabric may need a bit more cleaning than leather, but they’re still easy to maintain; a simple mix of soap and water will keep it clean. You can also use stain protector sprays for even more protection. It’s also worth bearing in mind that children and pets will effect the life expectancy of a fabric sofa. You should expect to find some stains and pet hair, but these can be taken care of with a bit of extra cleaning. Leather sofas are generally more durable and last longer than a fabric sofa, although this does depend on how much you plan on cleaning and maintaining it. A good quality leather sofa will keep its look and shape for years. They don’t come in as wide an array of colours as fabric sofas do, but a neutral leather look will go with pretty much every living room. Leather gives a sleek, elegant, and sophisticated look to any room, complimenting every style of interior décor. Leather is easier to clean than fabric, as a quick wipe and some dusting is the extent of cleaning. Although lighter leathers aren’t as stain resistant, they’ll still be easier to clean than a white fabric sofa. However, you’ll still need to occasionally maintain your leather by moisturising it to keep it soft. It’ll also be vulnerable to scratches from unruly cats and dogs. Whether you choose a fabric or leather sofa is ultimately down to the needs of your home and lifestyle. We can help you find the perfect sofa for you out of both of these options and more at PH Gammons. If you can’t find one for you in our range, then we can also build a bespoke sofa that’s exactly what you’ve been looking for. Come have a browse in our show room, or get in touch with us today for more information or a quote. Recliners have been immensely popular ever since their introduction. With a new found level of comfort offered to consumers. With recliners now coming in such a variety of shapes and styles, you might be unsure of how to choose the right type – thankfully, we’re here to help. The reason for the popularity of recliners is simple. They are relaxing, they are easy to operate and they provide great support. To get the most comfort out of your recliner, it’s important to make sure that you get the right type for you. When choosing a recliner, consider what you’ll need and want it for the most. If you struggle with back pain, then all types of recliner will provide the same basic function of reclining back. This relives pressure and tension in the upper and lower back. Using a recliner also helps with good posture and positioning. Especially when compared to sitting on a normal chair or sofa. Rocker recliners do exactly what the name suggests. They rock back and forth as well as reclining, which can help you doze off if you have trouble sleeping. A surprising amount of people use their recliners to sleep! If you’re looking for the ultimate relaxation chair, then a massage recliner is just what you need. As well as reclining, these chairs will massage your back and legs, and some come with a heating function. If the traditional recliner look isn’t for you, they’re also available in wing-back chair designs and contemporary styles. Whatever the style of your home, there’s bound to be recliners designed to suit your taste. If you have weak knees or limited use of your legs, then a lift chair recliner is a great option for you. They are motorised so that the seat is lifted up from the base of the chair. Lift chairs make it much easier to get back up once you’re done relaxing. Recliners can often be made to your exact specifications. Especially useful if your reason for getting a recliner is related to back or neck problems rather than just purely for relaxation. But a custom made recliner can also mean you’re getting the ultimate chair. For relaxation with a recliner tailored specifically to your requirements. So, when it comes to choosing the right type of recliner, consider what your needs are – is it purely a luxury for the finest relaxation furniture, or is it a bit of a necessity due to complications with posture and back pain? Whatever you’d like a recliner for, our range at PH Gammons will have you covered. The best place to start is to get in touch with any enquires, or to take a visit to our Huntingdon based showroom where our friendly and professional team will be happy to take you through our full range. To get the perfect dining table, you need one that suits your personal style and budget. It also needs to be solidly made and fit properly in your dining space. A dining table is a substantial investment and an important feature of the home. 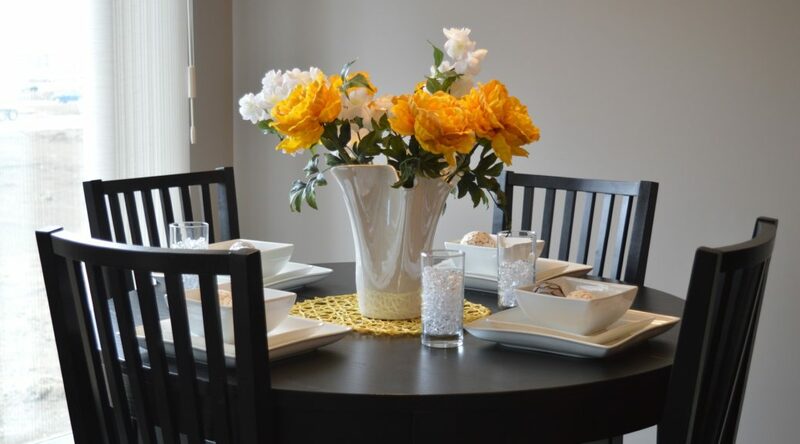 Follow these tips to make sure that the table you choose is perfect for you. Firstly, the golden rule – your dining table has to fit in your dining room. Tables are often deceptively large. So ,make sure that you’ve measured up the space before going to look for a new table. As well as space for the table, a rule of thumb is to give yourself three feet of space around the table to move around. But the more space you have, the better. Since dining tables usually last between five to ten years, a table that suits a current trend may lead to regret. For this reason, a traditional design is almost always the best way to go. There’s bound to be traditionally designed tables that still suit the style of your home. So you won’t be short of options that won’t leave you cringing in a few years’ time. Next, consider everything that you’ll be using the table for. If it’s going to be for dining with family but not much more, then a square or rectangle is a good way to go. This is the most common shape for a dining table, so you won’t be short of options. However, you might be using It for more than just dining – if you entertain guests quite frequently, then round tables are a great shape for socialising; no head of the table creates a nice, inclusive atmosphere and lets conversation between friends flow with ease. A round table also gives you more room around it without sacrificing a lot of surface area, so they’re also great for smaller rooms. Whatever your style and preferences for a dining table, our wide range at PH Gammons is bound to include something that is perfect for you. To have a look at our range of tables, visit our show room and if you have any enquires then get in touch with our friendly team today. There is something rather special about high quality wooden furniture. Whether it is oak, cherry, pine or maple. It is strong, proud, and sophisticated. Which is why we use it to fill our bedrooms, kitchens, dining rooms, and home offices. In fact, the bedroom is a place where pine furniture, in particular, has always been very popular. With reliable home furnishing in Suffolk, it is possible to source, buy, and decorate with the finest quality pieces around. You can invest in sturdy and stylish wardrobes, bed frames, armoires, dressers, and more. Look in the right places and you’ll be able to do it at knockdown prices as well. As most vendors and suppliers also handle delivery, your furniture can go from the checkout to your home in a matter of hours. These handy hints and tips will help you find affordable wooden bedroom furniture at prices that will make you smile. It can be really tempting to over buy and start picking up furniture because you like it too much to leave behind… rather than because you know it’ll suit the space. In small bedrooms, overly large wardrobes and really long bed frames will end up making things feel cramped. So keep your mind on the dimensions of the bedroom and your specific, practical needs. This is especially important for the bed. While we’d all love to be luxuriating in a queen sized bed every night, the reality is that you can only fit so much into a room. If you opt for an absurdly long bed frame and you don’t have the space, you’ll be clambering over it for years to come. This is not only dangerous, it creates a very disjointed and busy look. Which is exactly what you don’t want. High quality wood furniture should be given plenty of room to breathe and look majestic. Wooden wardrobes can look extremely beautiful in a carefully designed bedroom. Choose the right wood grain and the space will feel warm, rich, and inviting. Plus, you’ll never run out of storage space if you invest in fitted wardrobes, with sliding doors. If you don’t have the space for fitted wardrobes, however, you can make up extra storage with attractive dressers, vanity tables, and drawer sets. 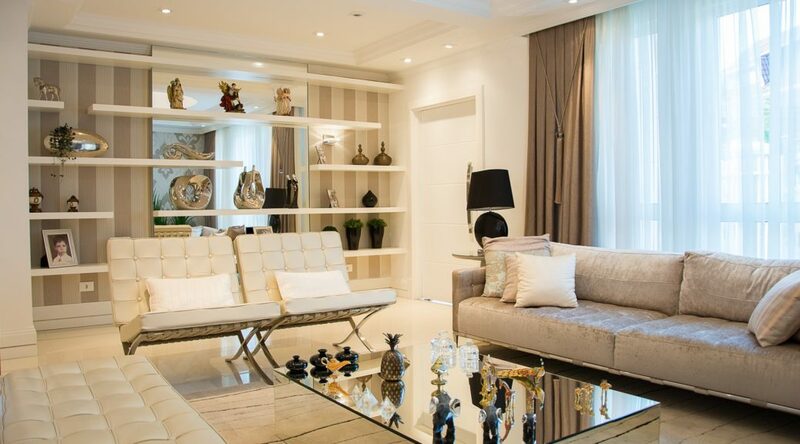 Stick to the same style of furnishing though, so that the arrangement is seamless and coordinated. It is surprisingly easy to source high quality home furnishing in Suffolk. The best place to start is with local showrooms. It is always a good idea to head out to these places and get up close and personal with the wooden pieces. That way, you can scrutinise the grain, get a feel for the quality, and pick the right tones and shades. While shopping on the internet is another great way to find a bargain, it doesn’t compare to running your hands across the surface of that beautiful oak desk or that elegant pine dressing table. For more advice and tips on how to shop for high quality wood furniture, visit Peter H Gammons today. Or, call 01487 812275 to get directions to your nearest Suffolk showroom or store. The humble carpet has been a part of domestic life for so long. It is easy to underestimate its value and function. When it comes to flooring care and maintenance, we’re used to thinking about materials like wood and tiling. And, for the most part, it is true. Carpets are one of the cheapest and easiest flooring options to keep. However, all high traffic floors require care, even if it’s just a deep clean once every twelve months. For carpets, especially, regular cleaning is important. This is because the fibres can collect dust, mites, crumbs, and pet hairs. If you have beautiful carpets in Peterborough, make sure that they stay that. Give them a little love and care every now and again. This guide to carpet cleaning will explain why it is important, when it needs to be done, and how often it is required. There are lots of reasons why homeowners favour carpets over other flooring options. For one thing, they are cheap. They offer excellent value for money, because they are inexpensive and will last up to a decade if cared for properly. However, they do collect dirt and stains a little more quickly than tiling, laminate, and wood floors. This is why they need to be hoovered regularly, throughout the week, and deep cleaned once or twice a year. The hoovering will pick up surface dirt and debris, so that the carpet always looks stylish and pristine. The deep cleaning will work below the surface to dislodge and remove allergens, dust, and grime from within the fibres. This small amount of maintenance will prevent carpets from becoming troublesome from allergy sufferers. It will also make sure that they always smell clean and feel soft on the feet. With the cost of deep carpet cleaning now more affordable than ever before, it’s never been simpler to take care of the flooring in your home. If you’re currently considering upgrading your flooring, for high quality carpets in Peterborough, set up a deep cleaning schedule as soon as possible. Pick a company that is reliable, experienced, and respected within your local area. It is up to you how often you want your carpets deep cleaned (twice a year is more than enough). Once you know who you’re working with, you can pick dates on the calendar that suit you best. 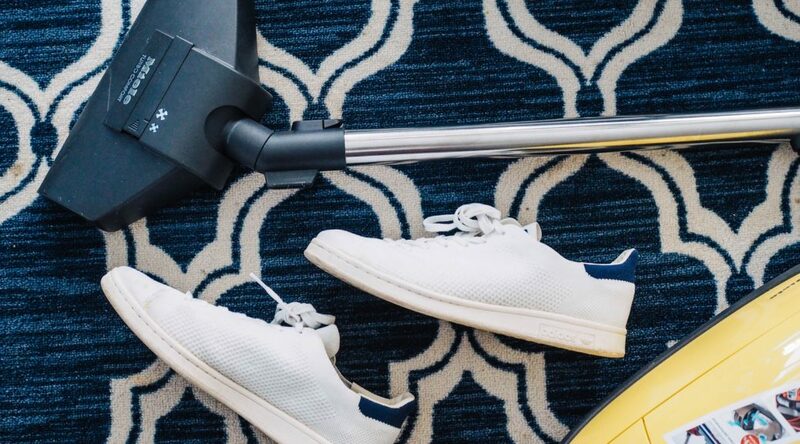 Depending on the size of the room, deep (or steam) cleaning will take a couple of hours, so you’ll need to steer clear of the treated carpet until it has completely dried. You’ll be amazed at how quickly deep cleaning can reinvigorate even the most tired and worn out carpets. One thing to keep in mind is the relationship between cleaning and quality. The higher the quality of your carpets in Peterborough, the more effective all types of cleaning will be. For very low quality carpets, intensive cleaning can actually damage the fibres, so pick products that are strong, durable, and long lasting. High quality carpets should always be able to stand up to the pressures of a deep clean. For more information and advice on picking the perfect carpet, visit Peter H Gammons today. Or, call 01487 812275 to get directions to your nearest Peterborough store or showroom. There are certain household necessities that aren’t always much fun to buy. Take washing machines, for example; shopping for an appliance of this size can be stressful, because there are so many different factors to take into consideration. The same can be said for things like fridges, curtains, and faucets. You can’t really start enjoying them until they arrive at home and take their proper place. Sofas are a little different, as it’s possible to test a range of options before you even have to think about making a final decision. Shopping for a new sofa can be lots of fun, because it’s an investment that most of us can easily get excited about. In fact, just imagining the perfect armchair is enough to elicit a big grin from those who love their creature comforts. The downside, however, is that this can cause some homeowners to rush into a decision and pick the wrong sofa for their lifestyle. 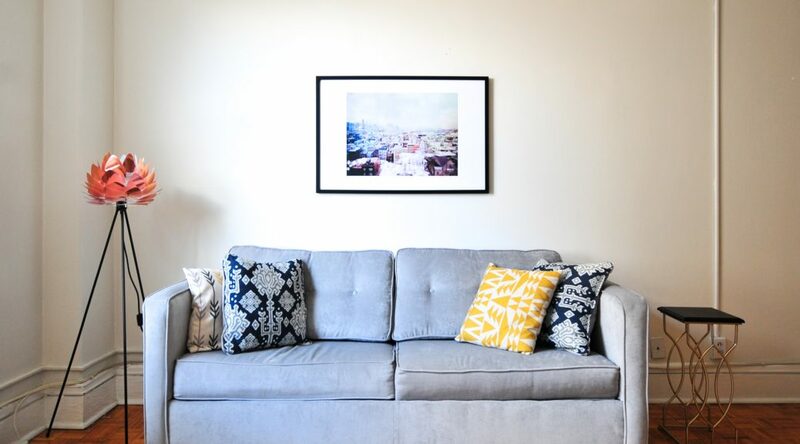 This guide to the most common sofa shopping faux pas will help you avoid the pitfalls and take home your dream couch. You’d be surprised at how many people head out shopping for sofas in Cambridgeshire, without measuring the size of the room first. This is a mistake that you don’t want to make, because it could leave you with a brand new couch that doesn’t even fit into the space. It is a good idea to fully measure the length and width of the room or, alternatively, take a roll of masking tape and ‘map’ out the size of your ideal sofa on the ground. Also, think carefully about how your preferred design will fit into the space. Even if you’re sure that you’ve chosen a sofa that physically fits, consider what kind of impact the style will have. For instance, chunky sofas with big, broad arms are likely to dominate smaller rooms and make them feel poky and restricted. On the other hand, a sleeker, thinner sofa might make a very big room look curiously mismatched. If you’re shopping for high quality sofas in Cambridgeshire, you’re going to want a product that is stylish and attractive. It should fit well with the existing décor, but also hold its own as a statement piece. However, it is important not to let the pursuit of style stop you from picking a sofa that is comfy enough to ease your tension at the end of a long day. Comfort should be the number one priority when picking a new sofa, because that is its main job. So, as well as considering colour palettes and patterns, think about what you want from your sofa. Does it need to be wide enough to cater for the whole family or should it be perfect for curling up as a twosome in front of the telly? Do you want to be able to lie down on it without your feet sticking over the ends? If the cushions are very deep, will you have trouble getting up and out of the chair? Keep an eye out for style, but don’t forget to prioritise comfort. If you’re pretty sure that you’ll only be using your new sofa for a couple of years, you can probably get away with a few compromises on quality. However, if you plan to get as much wear out of your couch as possible, do take the time to pick out a reliable product that is made out of robust, dependable materials. There are lots of sofas in Cambridgeshire that come with quality guarantees; pick one that has a warranty and make sure that the materials are genuine. It is common to find, in cheaper products, that shortcuts have been taken with the materials. For instance, low quality leather sofas often have genuine seat covers, but fake leather on the back panels and sides. This is not always the case, but it is worth enquiring just to make sure. If in doubt, trust your instincts and keep looking for a better quality product. If you shop carefully, you can expect your new sofa to last a number of years. For more advice on shopping for the perfect sofa, visit Peter H Gammons. Or, you can call 01487 812275 to get directions to your nearest Cambridgeshire store or showroom. There is something about wooden furniture that just says security. Think about it. How much more grounded and cosy does sitting down for dinner on a wooden table feel, when you compare it to the same scenario on a plastic table? Wood is synonymous with permanence and strength; this is why so many of us gather around it at mealtimes. The good news is that oak furniture in Cambridgeshire is more affordable now than ever before. You can get your hands on a beautiful oak dining table for a fraction of what it would have cost twenty years ago. So, what are you waiting for? Give your home the warmth and security that it needs with a signature oak table. This guide to the benefits of investing in oak, particularly for dining tables, will explain why this wonder material is such a sound choice. Oak furniture is not bought on a whim. It is a solid investment, a valuable long term choice. This is because it lasts for such a long time. Things like oak dining tables are routinely passed on, through the generations, for hundreds of years. This is something that your grandchildren could be moving into their new home one day. And, as mealtimes are an occasion when all of the family comes together, this degree of permanence and durability is very suitable. The tannin content in oak actually helps it to stand up to regular wear and tear and the intrusion of insects. If you buy high quality oak furniture in Cambridgeshire, it will be strong, long lasting, and a pleasure to look at. Top quality oak furniture in Cambridgeshire is guaranteed to add sophistication and elegance to any home. One of the best things about oak, especially for dining rooms, is that it can be incorporated into a wide variety of décor choices. For example, an oak dining table would enhance a nautical themed space just as much as it would a sleek, minimalistic one. Do try to remember that, generally speaking, the lighter the colour of the wood, the more modern and bright the most complementary décor will be. 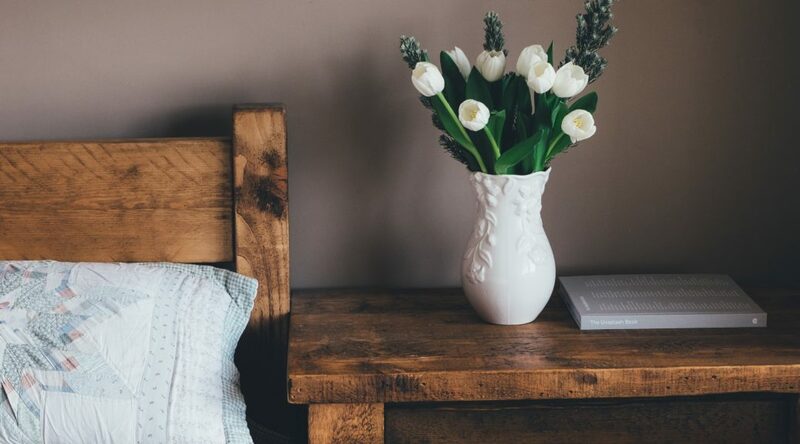 On the other hand, if you are keen to create something a little more old fashioned (or even a bit gothic), opt for a darker tones and shades of oak. The typical oak dining table is easy to keep clean and maintain. However, it does require an oiling, with a natural product, a couple of times per year. This should only take twenty minutes or so and it will help to protect the smooth, beautiful finish on its surface. Otherwise, your oak furniture in Cambridgeshire should be wipe clean and stain resistant. If you have carpet in your dining table, you might want to pick up some plastic or rubber protectors. These little things fit neatly on the bottom of table legs, so that the weight of the furniture doesn’t make a permanent indentation in the carpet. You can get these from lots of furniture shops or you can buy them online at a low cost. If you are in Cambridgeshire and looking for oak furniture why not contact us via email or pop in to your local Peter H Gammons store today. Alternatively you can call 01487 812275 and speak to one of our friendly members of staff who are always happy to help. What is the Difference between Venetian and Vertical Blinds? If you are currently thinking about installing window blinds in your home, you need to be aware of the different options that are available. These days, the choice extends far beyond fabric or wood. You can invest in Venetian, vertical, pleated, roller, Roman blinds, and more. For beautiful blinds, the fit, design, and colour should match the style of the interior décor. Venetian and Vertical blinds are two of the most popular choices, because they offer a great balance between practicality and aesthetic appeal. While they share some similarities, they are distinct options, with their own unique advantages and disadvantages. It is important to understand this when shopping for beautiful blinds, because the most suitable style for you will depend on your needs. This handy guide to the main differences between Venetian and vertical blinds will help you get to grips with the basics. Venetian blinds (sometimes called horizontal blinds) are made up of a series of horizontal slats. These slats are linked together with a string ladder and a set of pull cords. This forms an easy to use ‘lifting’ mechanism that allows a homeowner to make adjustments as and when needed. So, for example, if you wanted to let more light in, all that you would have to do is pull or twist the cord in the right way. The important difference between Venetian and vertical blinds is that the latter moves from left to right, rather than up and down. You can adjust the individual slats just as easily, but the pull cord either draws the lats across the length of the window or pulls them back. Both Venetian and vertical blinds have slats that can be tilted in such a way as to control the amount of light entering the room. While most beautiful blinds are made with wood, high quality alternatives can be bought in plastic, metal, and fabric. However, wood remains the most popular choice among homeowners. This is because it gives the room a warm, refined look. It is timeless, classic, and speaks of elegance and sophistication. Ultimately, there is no huge difference in the appearance of Venetian and vertical blinds, other than the fact that one draws upwards (to let more light in) and the other draws to one side (for the same purpose). This can still be a personal preference though, so if you do favour one over the other, make sure that you pick the right window blinds. You can buy both options in a huge variety of different colours. Generally speaking, Venetian window blinds are stronger than vertical ones, but this does depend on the quality of the product. There are plenty of vertical blinds that are tougher than the alternative; it depends on how much you spend and how you install them. Venetian blinds can be drawn up and out of the way, so it is much harder for children to reach them. This is an advantage over vertical blinds, because small hands can pull at these and break them. If you do have children, wooden blinds are the better choice because they are harder to snap and tear than fabric or plastic ones. For beautiful blinds, think about both practicality and appearance. For more advice on shopping for beautiful blinds, click here to visit Peter H Gammons today. Or, call 01487 812275 for directions to your nearest window blind showroom or store.